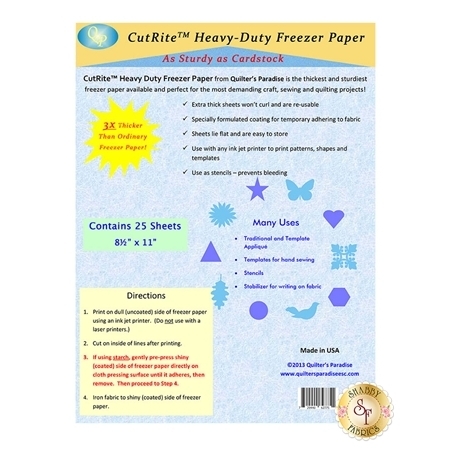 CutRite Freezer Paper is the best freezer paper recommended by Shabby Fabrics for applique! Package contains 25 heavy duty sheets of 8 1/2" x 11" paper. ADDITIONAL SHIPPING CHARGES MAY APPLY DUE TO THE SHAPE OF THIS ITEM.